Click for the home of Nature Notes. Beautiful color contrast! Love those birds! And now I know it is the NC State Bird! 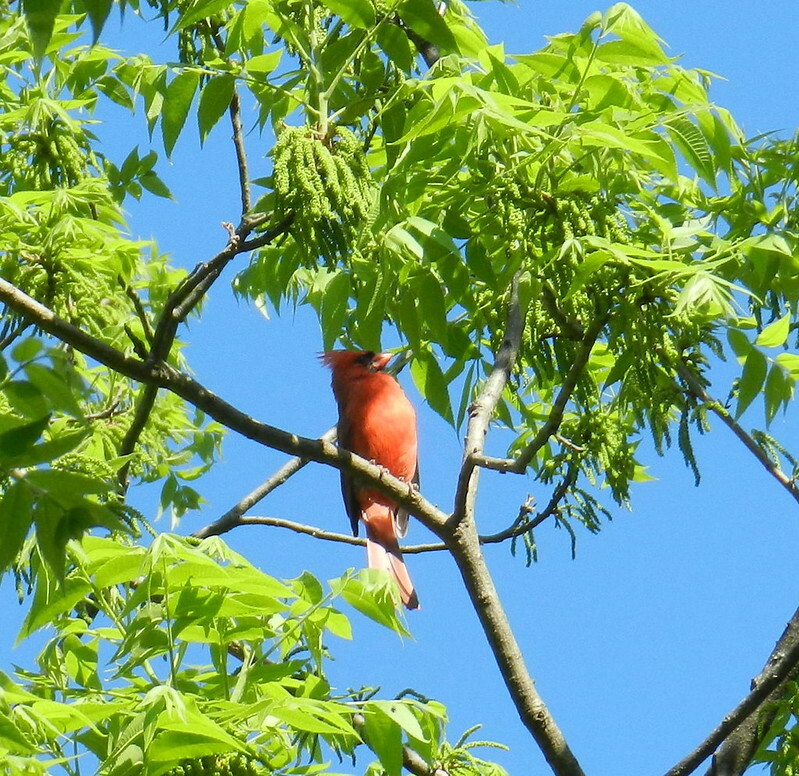 I love seeing the male and female cardinals. Nice photo. Wow, thats pretty picture. He looks cool. A gorgeous image Carver! It is the Virginia State bird also and I have lots of them visit our garden. I have never taken as beautiful a photo as this though. Gorgeous shot of the Cardinal, Carver! Enjoy your day! A stunning photo Carver, such beautiful bright colours! Oh, my goodness, what a perfect balance of color! He's awesome!